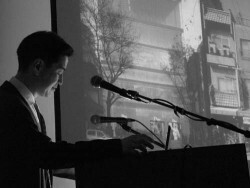 After receiving his Ph.D. in architectural history and theory from Columbia University, Dr Oshima examined international architecture and city planning in the UK and Europe from the early 20th century. His project during the fellowship was on architecture and city planning in Japan between the two world wars. Dr Oshima’s publications include Arata Isozaki (Phaidon, 2009) and Constructing Kokusai Kenchiku: International Architecture in Interwar Japan (U.W. Press, forthcoming 2009). He is a contributing author of Museum of Modern Art Exhibition Home Delivery (2008), curator of the exhibition SANAA: Beyond Borders (Henry Art Gallery 2007-8), and co-curator of Crafting a Modern World: The Architecture and Design of Antonin and Noémi Raymond.